Whilst recently enrolling on the BA (Hons) Illustration and Visual Media course at London College of communication, I was given a booklet containing the details of three projects and was told their will also be a fourth 24 hour assignment in a few weeks. Two are solo and one is a group effort. Each of the briefs are different with different names, the first of which is titled ‘What is it?’. Involving trips to at least five different museums in London, ‘What is it?’ will lead me to discover various interesting relics from our past, then whittle it down to just one. With this one, I will endeavour to uncover all that I possibly can; the history beneath and the effect surrounding the desired object, presenting it in a 12 page booklet of my studio experiments encompassing my research. So far I have bought a sketchbook and made a list of the Museums that catch my eye, so now… visiting time! 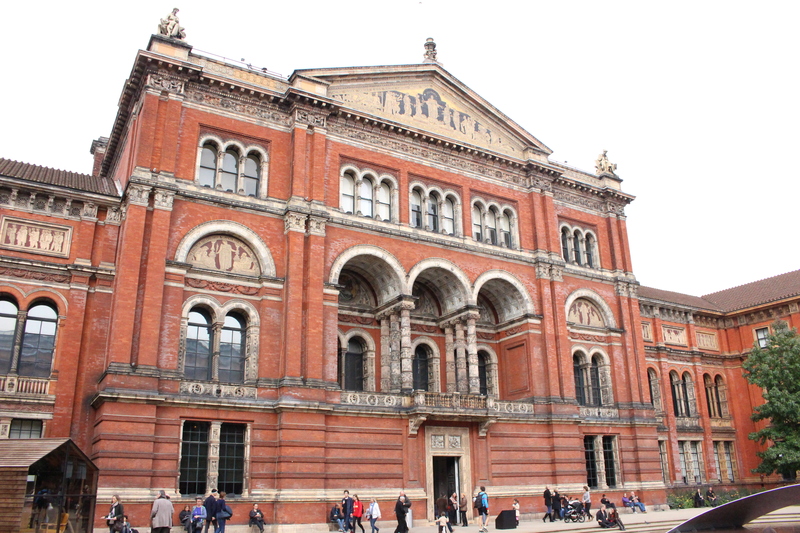 ^Victoria and Albert Museum on a very cloudy day.